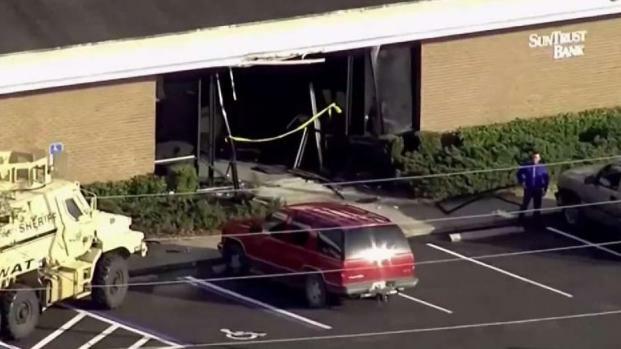 A former prison guard trainee who recently moved to Florida from Indiana will remain behind bars after police say killed five people during a standoff at a small town bank before surrendering to a SWAT team that stormed the building. Investigators said Zephen Xaver, 21, called police from inside the SunTrust Bank branch in Sebring on Wednesday to report that he had opened fire. He barricaded himself inside and when negotiations failed, the SWAT team burst in, capturing Xaver and discovering the bodies, police said. 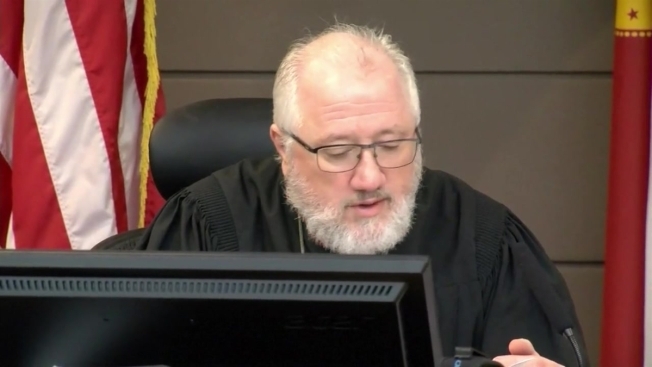 During his first hearing in Highlands County court on Thursday, a judge announced the five charges of first degree murder and awarded no bond for Xaver. Hoglund said a man contacted police to say he had fired shots inside the bank around 12:30 p.m. Officers responded and after negotiations to get the suspect out of the bank were unsuccessful, a SWAT team entered the bank. The suspect eventually surrendered to the SWAT team. Police didn't say what charges Xaver faces or give a possible motive for the shooting. Public records and neighbors said Xaver had arrived in Sebring last fall with his mother, living in a non-descript pre-fabricated home about 4 miles from the bank. No one answered the door Wednesday night after police finished searching the home. Public records and neighbors say he and his mother moved to Sebring in the fall from Plymouth, Indiana, a town south of Notre Dame University. Xaver "for some reason always hated people and wanted everybody to die," Alex Gerlach, his former girlfriend, told WSBT-TV in Indiana shortly after Wednesday's massacre in Sebring. "He got kicked out of school for having a dream that he killed everybody in his class, and he's been threatening this for so long, and he's been having dreams about it and everything." Sebring Mayor John Shoop called the shooting "a very senseless act with no reasoning." Florida Gov. Ron DeSantis was in the region for an infrastructure tour and traveled to Sebring after news of the shooting broke, the Associated Press reported. The governor said the Florida Department of Law Enforcement would assist Sebring police and the Highlands sheriff in any way possible. "Obviously this is an individual that needs to face very swift and exacting justice," DeSantis said. SunTrust CEO Bill Rogers issued a statement saying he was "deeply saddened" by the shooting. "We are working with officials and dedicating ourselves to fully addressing the needs of all the individuals and families involved. Our entire team mourns this terrible loss," Rogers' statement read. 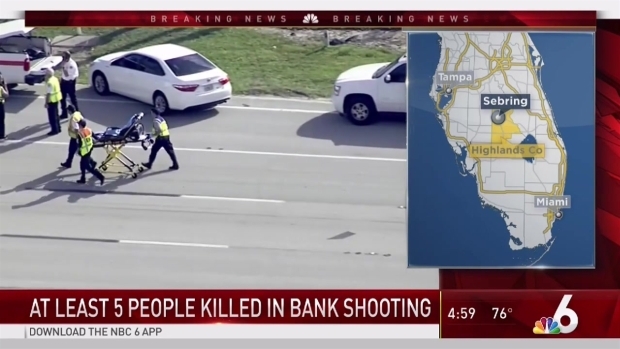 Late Wednesday, police investigators still swarmed the bank, which sits between a hotel and a hair salon located in a business district of U.S. 27, a four-lane highway that connects South Florida and Central Florida. Sebring, with 10,000 residents, is known internationally for its annual 12 Hours of Sebring endurance auto race that draws world-class drivers. Terry Spencer and Davis Fischer of the Associated Press contributed.